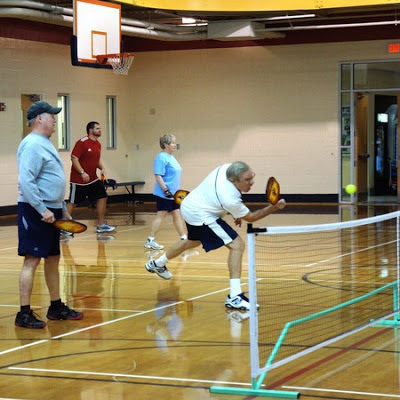 The fast-growing sport of Pickleball is gaining momentum in popularity at Fowler YMCA in Peachtree Corners by players of all ages. The Pickleball scene at the Y is both lively and social. The players take their fair turns on the court and enjoy cheering one another on while waiting to play. * “What I like about it is that you can take it to any level you want - you can play for fun, or you can play a fast-paced, competitive game" said Craig Lovingood. *“Pickleball is the most fun, addictive game you can play” said Pam Griffin. *“Pickleball is a lots of FUN and it doesn’t feel like you are exercising and it’s fun for all ages” said Gloria Teague-Triplett.